Stash Reduction Isn’t SO Bad – Is It? What goes through your mind when someone says the words “Stash Reduction”? Do you get a sheepish look on your face and nod knowingly? Do you cringe at the idea of actually using your beautiful fabrics? Does it mean nothing since you don’t have a stash or even know what one is? For some reason, whenever I think about my stash, I get a twinge of guilt. 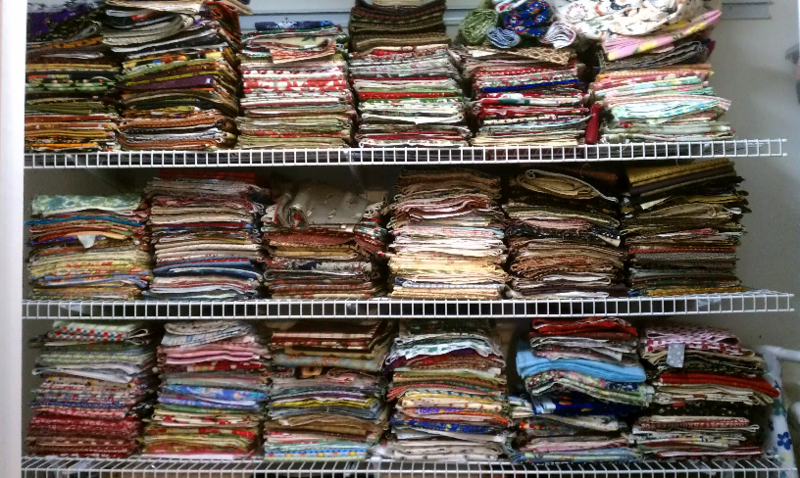 It does seem a bit … indulgent…to have more fabric in my possession than I can ever use in a lifetime. When people come over to my house I am a bit shy about showing them my stash closet for fear I will be judged harshly. However, most people obsessed with sewing understand where I am coming from and don’t judge me :). In order to alleviate some of these guilty feelings, I sort through my stash once or twice a year and either sell or donate the fabric. 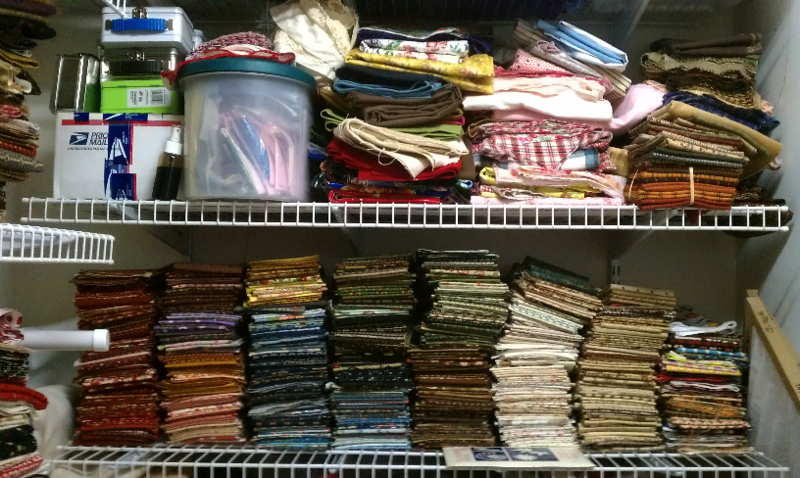 My goal is to not outgrow the current stash closet, because once that happens I will have TOO MUCH FABRIC. There are many reasons that it’s hard to use the fabrics in your stash. One, you never know if you will see that same bolt of fabric again, so you need to get a yard “just in case”. Two, once you have the fabric in your stash, you have to find the perfect perfect project for it. Three, when you start a new project, you need to buy more fabric because you don’t have anything in your stash you can use (this is similar to looking at a closet full of clothes and not having anything to wear). This year, I am making a concerted effort at Stash Reduction with a two-pronged approach: first, I don’t plan to buy any new fabric in 2012* (gifts are fine), and second, I will get rid of at least 300 yards of my stash by using it, donating it, or selling it. I have some projects in mind and I think I can do it – but it will be a challenge. Do you think I am crazy for doing this? Anyone want to jump on the band wagon and join me? Any ideas for stashbuster projects? If so, please email me or post in the comments! Finally, I am pleased to announce the debut of “The Straight Stitch”, an advice column for those to love to sew, embroider, craft, etc. Please email me your questions and they will be answered! Feel free to ask me anything, I’m here to help you Keep it Thimble! *Exceptions: it is from the thrift store, on sale for $4 a yard or less, needed for binding or backing, or it is the only non-stash fabric needed to complete a project. This entry was posted in Fabric, Sewing, Stashbusters, Straight Stitch. Bookmark the permalink.